Dream big, son. 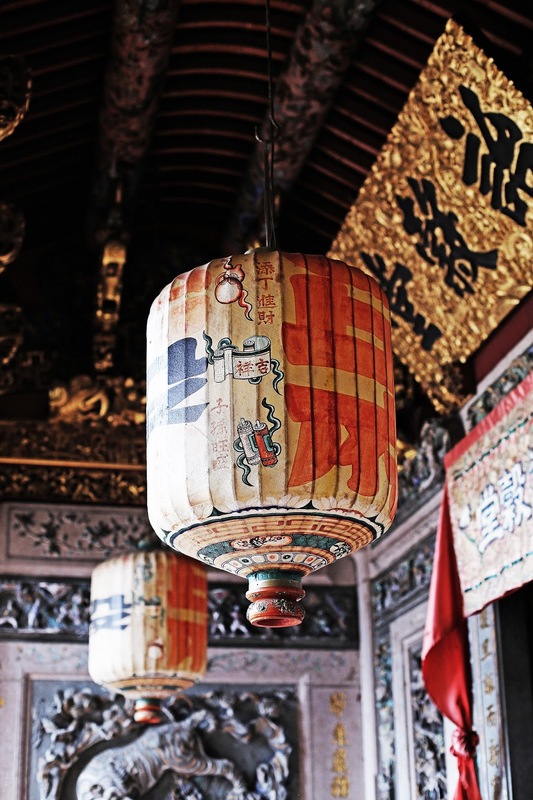 Cheong Fatt Tze transcended his humble beginnings as an impoverished cowherd, fleeing the Second Opium War and settling in Penang where he eventually became "The Rockefeller of The East". 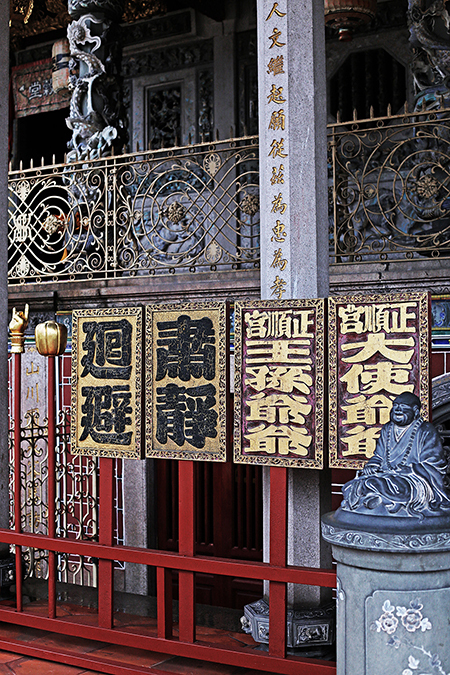 His magnus opus is Cheong Fatt Tze Mansion aka The Blue Mansion: a lavish family home built on heritage (with artisans skilled in traditional Chinese design brought in from Southern China to work on the mansion), a healthy dose of superstition (if your feng shui masters haven't created your 5 courtyards for peak energy flow, consider yourself failed at life), and function (the mansion also acted as the base for the mogul's commercial enterprises while housing his rather prolific family). 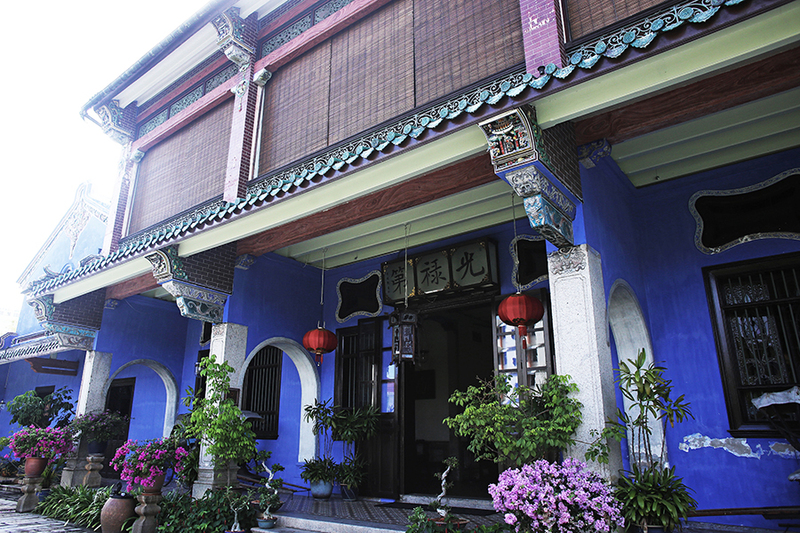 The Blue Mansion survived the ravages of the Second World War, poor management of his estate after Cheong Fatt Tze's passing; and the general indignity of disrepair and the infamous Malaysian laissez-faire attitude toward crumbling historical buildings. 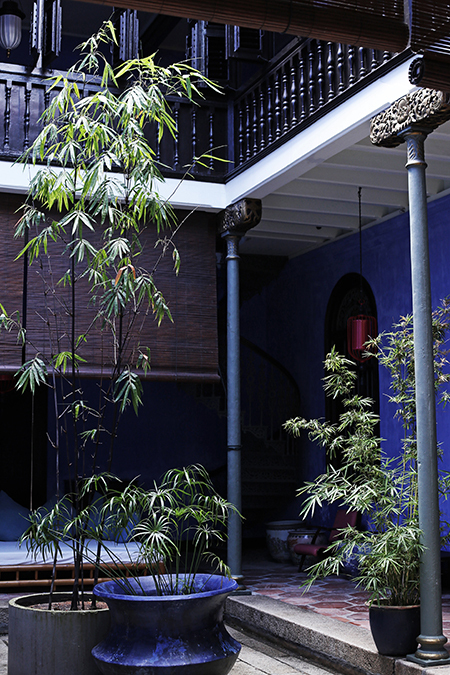 After a painstaking amount of restoration work - winning UNESCO’s Most Excellent Project in the Asia Pacific Heritage Award in 2000 - The Blue Mansion was opened as a boutique hotel, with daily guided tours of the public areas offering a glimpse into the life of Penang's biggest baller. 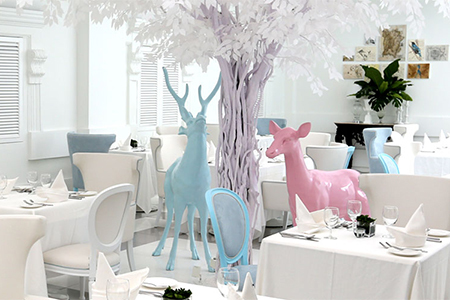 Stay in the Liang Collection, the Tang Suites, or the Han Suites; and dine at their Pan-Asian restaurant Indigo. 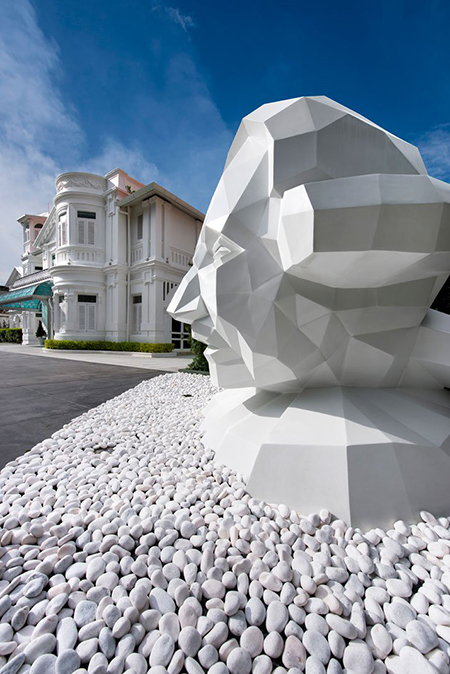 A mansion built to honour Sir Norman Macalister (one of the first British Governors of Penang, then known as Prince of Wales Island) who also gave his name to the road it occupies...if this Edwardian-era colonial house with a giant bust of its namesake on the driveway isn't a shrine, I don't know what is. 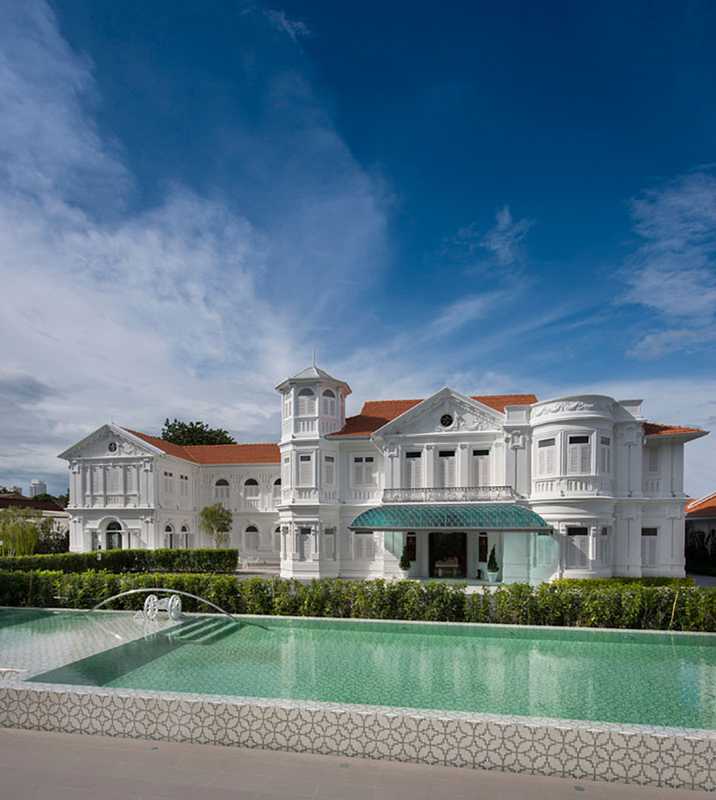 Following a restoration, Macalister Mansion is now a member of Design Hotels and the very definition of boutique luxury - with only 8 suites, each individually designed with specially commissioned art pieces inspired by the life 'n' times of Sir Norman. The 'contemporary with a touch of classic' vibe is incredibly photogenic; with many flocking to the Living Room for tea before rolling out onto the Lawn to pose by the swimming pool against the building's impossibly white facade. For a view of the lawn and the pool, stay in Room 6. Straits Chinese. Baba & Nyonyas. 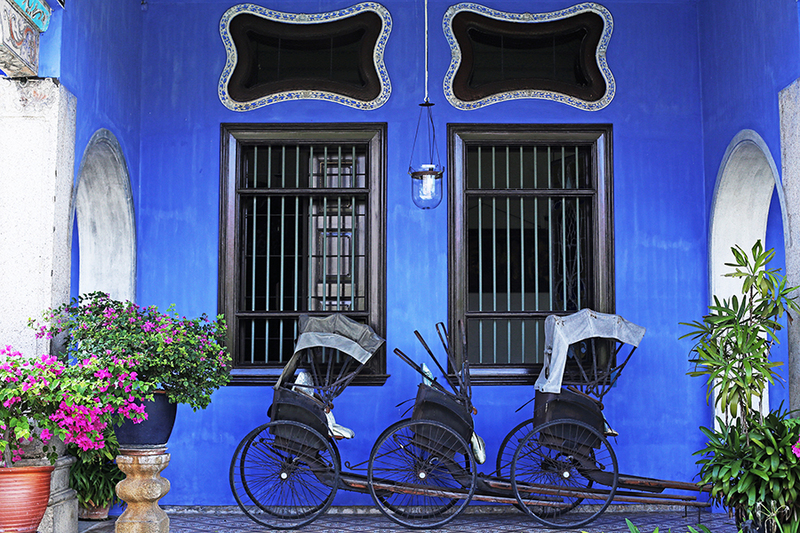 Peranakans. 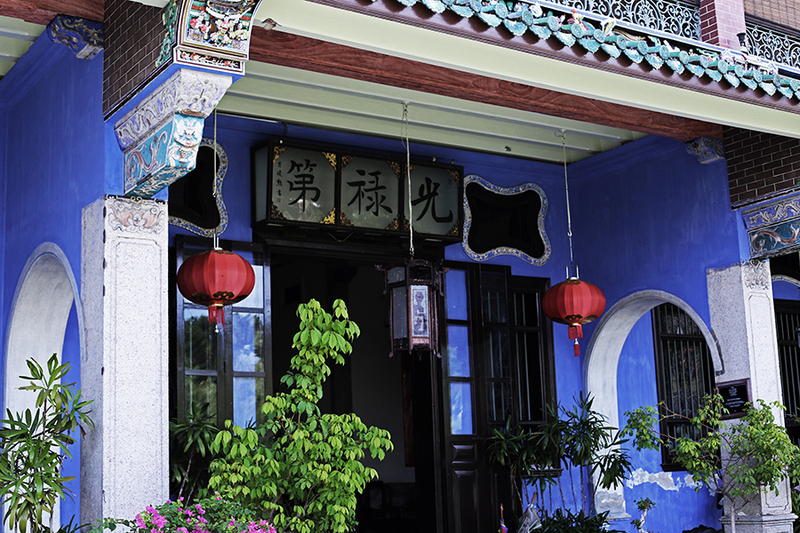 A peony by any other name and all that...the community of Overseas Chinese who settled in Penang, Malacca and Singapore boast a unique and rich cultural fabric. 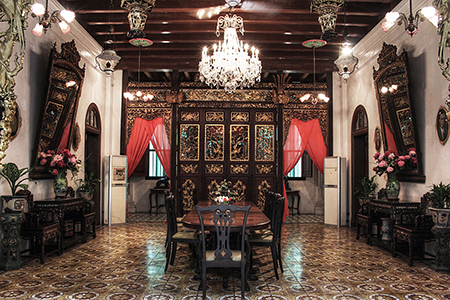 The ingredients being opulence and eclecticism, as perfectly demonstrated by Pinang Peranakan Mansion. 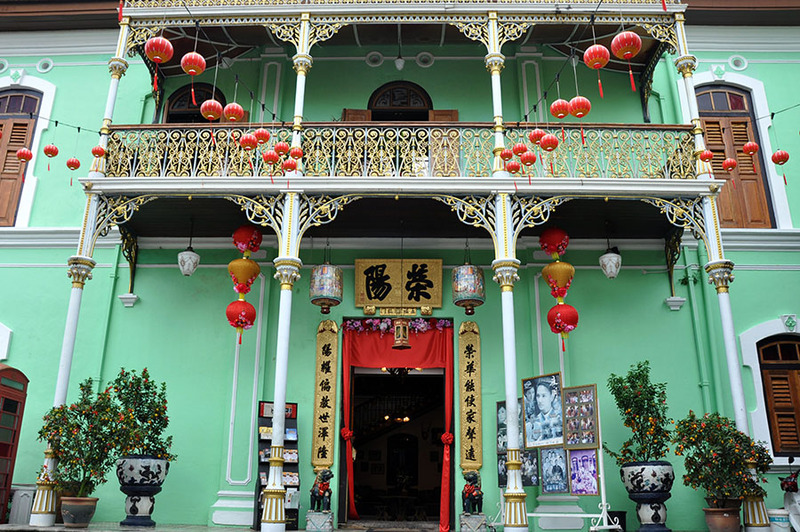 Mother of pearl errthang, Chinese carved-wood panels, English floor tiles, and Scottish ironworks...all on par for the course for this time capsule of life as a rich 19th century Peranakan. 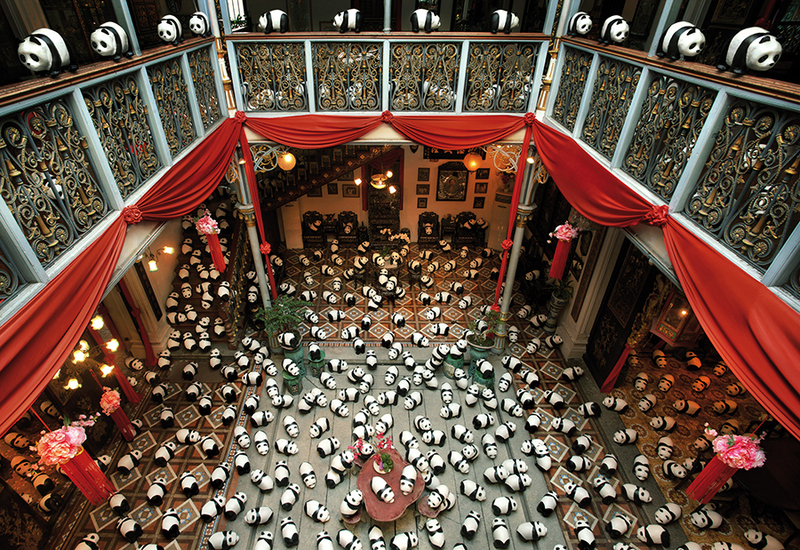 With over 1,000 antiques of the era on display (including, for a brief time, over a thousand paper mache pandas by WWF to draw attention to the plight of the bamboo-guzzling tree rat) at the Pinang Peranakan Mansion you might want to keep your paws of the porcelain - this historical home is of the 'look, but don't touch' variety. Ps. 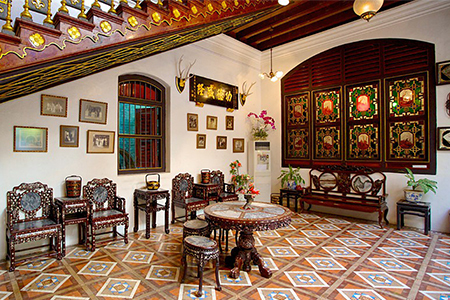 There are a plethora of historical hotels nearby in Georgetown including the much more lowkey but charming Muntri Grove Hotel. 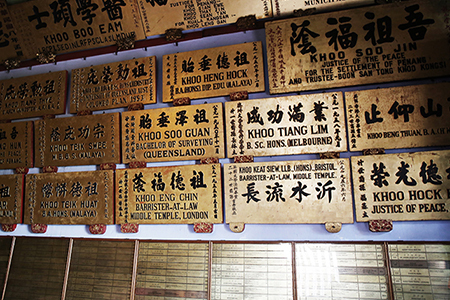 ...I say 'home', but Khoo Kongsi is less of a literal 'place to stay' and more of an abstract concept along the lines of 'home is where the heart is'. The Overseas Chinese built clan mansions in the states they settled in - a member's club of sorts for others with the same surname. 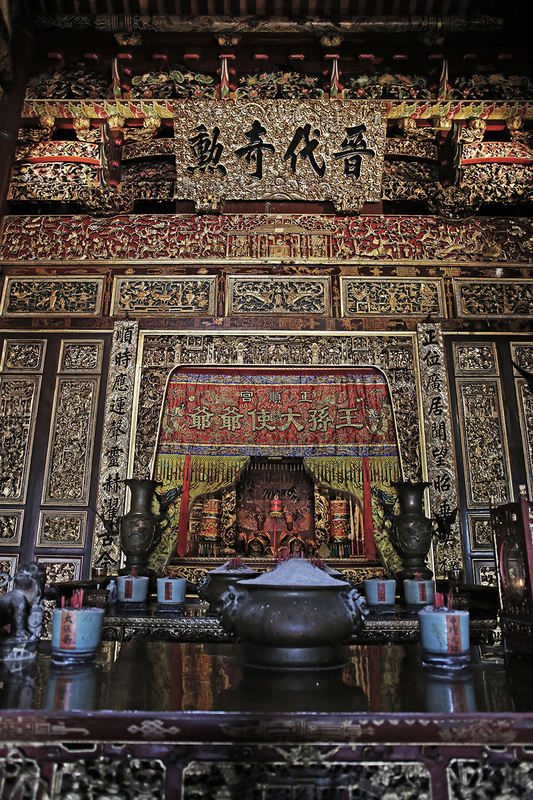 Clan mansions are grand affairs; with elaborate designs, ceremonial altars and temples, and the names of prominent descendants proudly inscribed in gold all of which fiercely preserve the Chinese diaspora's traditions and customs even as they're scattered across the Asia Pacific. 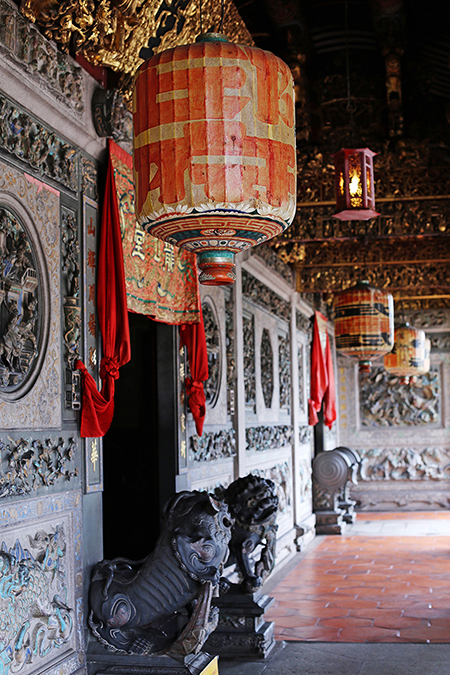 Despite still being in use neither love nor money will get you room & board in Khoo Kongsi, not even if you're a Khoo, although the mansion is still used for certain occasions such as coming of age ceremonies. *jokes on him - my friends and I (all of us from other clans lovingly mocked by Mr Khoo) are going to form a super-exclusive and highly-coveted members club. Khoos will be banned. Burn! Malaysia Airlines and British Airways fly from London to Penang via Kuala Lumpur. I like to take the scenic route: a 4-hour drive from Kuala Lumpur with a breathtaking view of undulating highway flanked by limestones moutains and plantations as far as the eye can see, with dangerous curves winding around hills fit for a blockbuster car chase (though Bond would probably die from the humidity first). 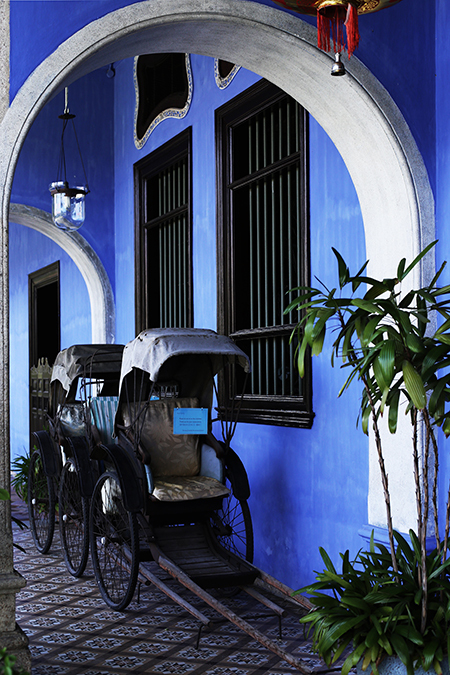 The drive calls for a pit stop in the state of Perak for a taster of historical-turns-hipster in Ipoh Old Town. Want more recommendations, reviews, and travel tips on Malaysia? Penang, Perak, Kedah, Terrenganu, Kuala Lumpur and Selangor, Pahang, Malacca, Johor, and Sabah (Borneo).